This was a 16-page A5 booklet, promoting ITC Home Video (VHS of course!) 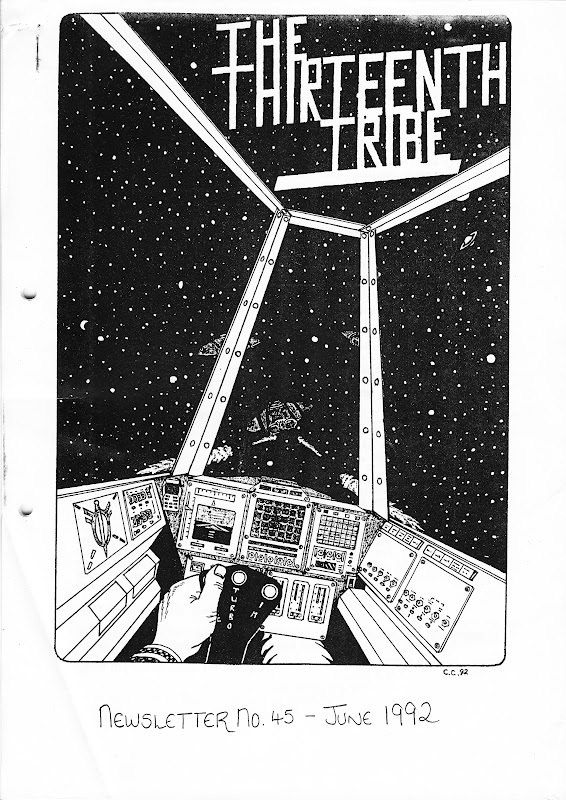 published sometime in the early 1990s and free from branches of OUR PRICE VIDEO (although they MAY have rebranded as PLAYHOUSE by the time this appeared) and, possibly, elsewhere as there is no retailer branding anywhere on it. 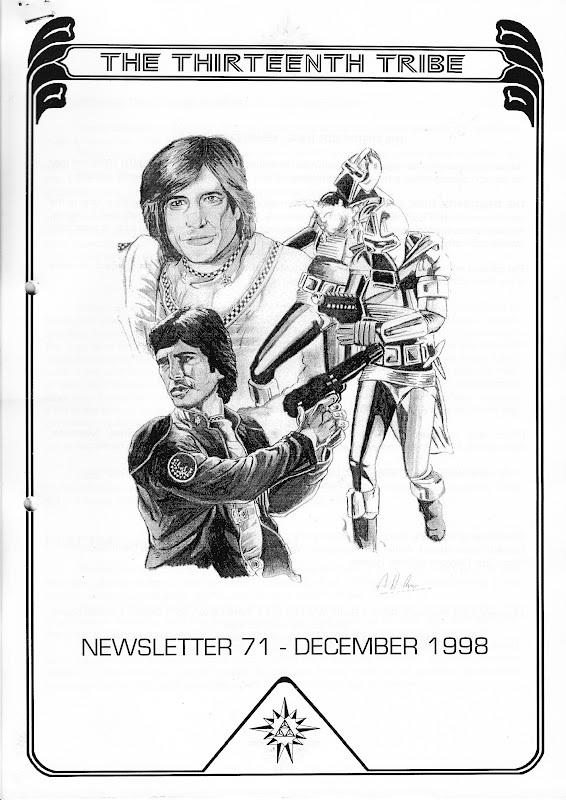 As you'll see, it's full colour throughout and printed on glossy heavy paper (really bordering on card). A really nice little package. 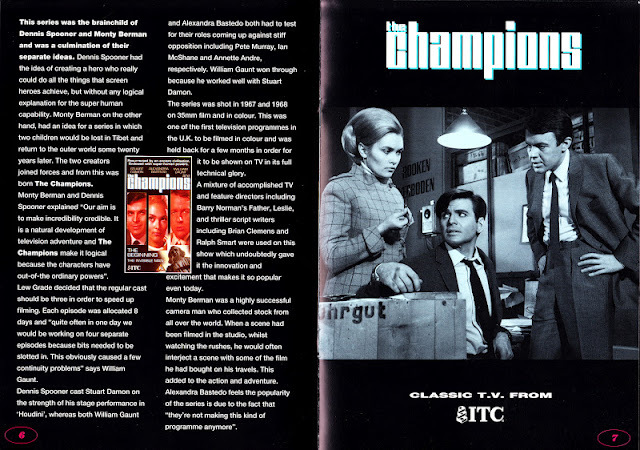 After years of half-arsed VHS releases under the Precision (another ACC company) and Channel Five (not THAT one... but you can see the cleverness in that brand) labels, the early 1990s saw ITC finally fully exploit their back-catalogue of TV series. 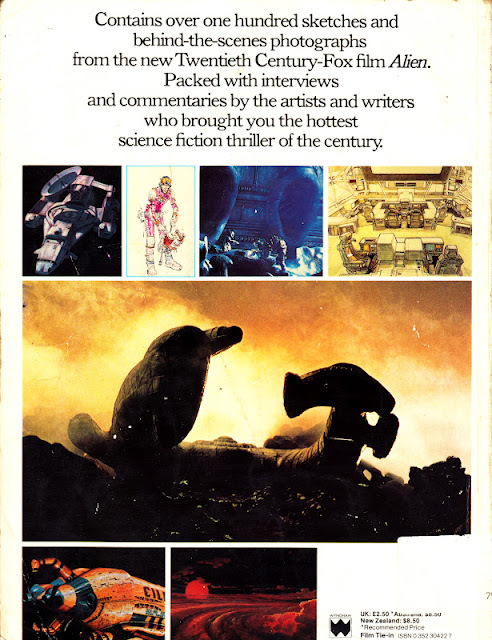 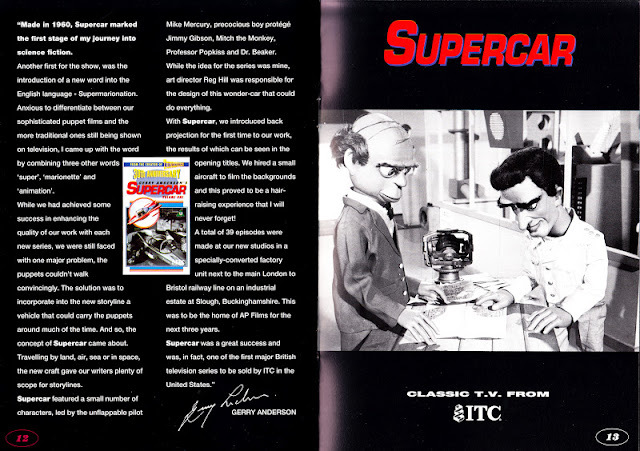 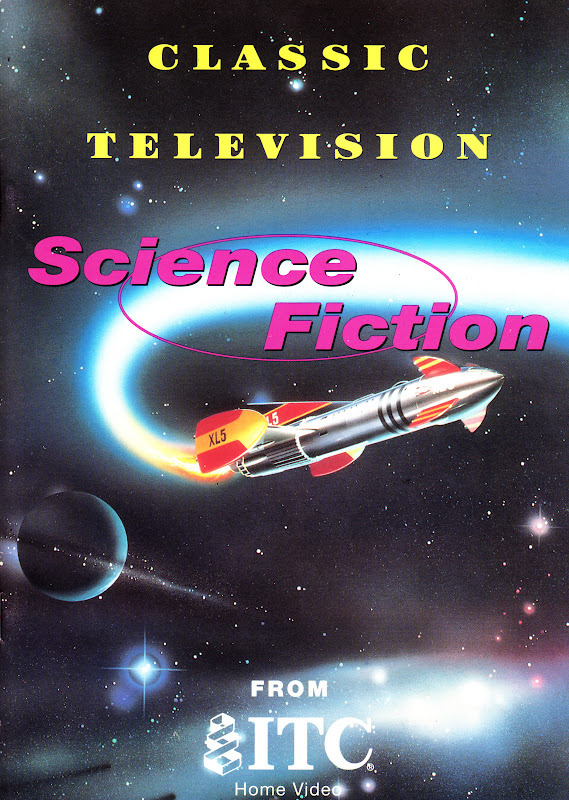 ITC held the rights not only to the series originally produced under the ITC banner (generally shot on film and aimed at an international market) but also the ATV library (as a rule of thumb, usually shot on tape for the UK market), blurring the lines between the two production entities. 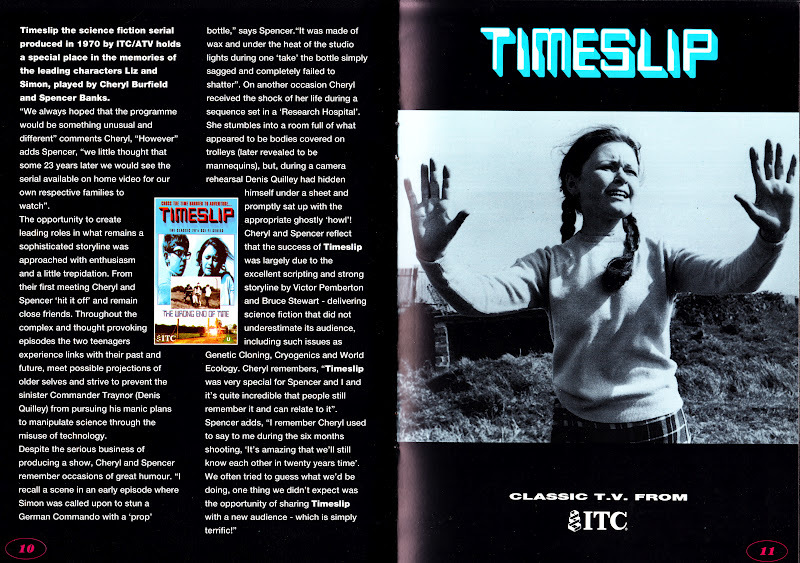 This was a boom time for TV fans, finally giving them a chance to see programmes considered long-buried with little chance of ever resurfacing. 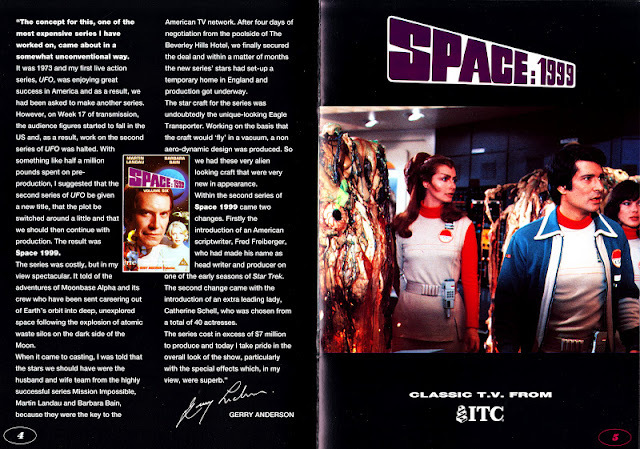 Those pesky existing licensing deals did create a few headaches: THE PRISONER, U.F.O, THUNDERBIRDS and the SPACE: 1999 episodes cobbled together for the ITC faux feature films were all placed off-limits. At least at first. 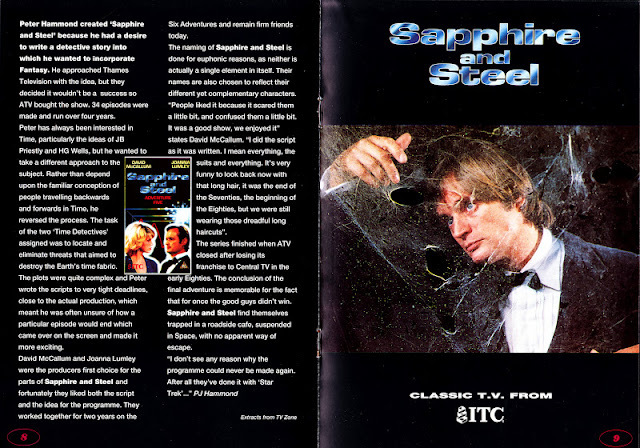 Many of the series only enjoyed a couple of tapes, certainly not the full runs we've come to expect in the DVD, although SAPPHIRE AND STEEL, TIMESLIP etc. 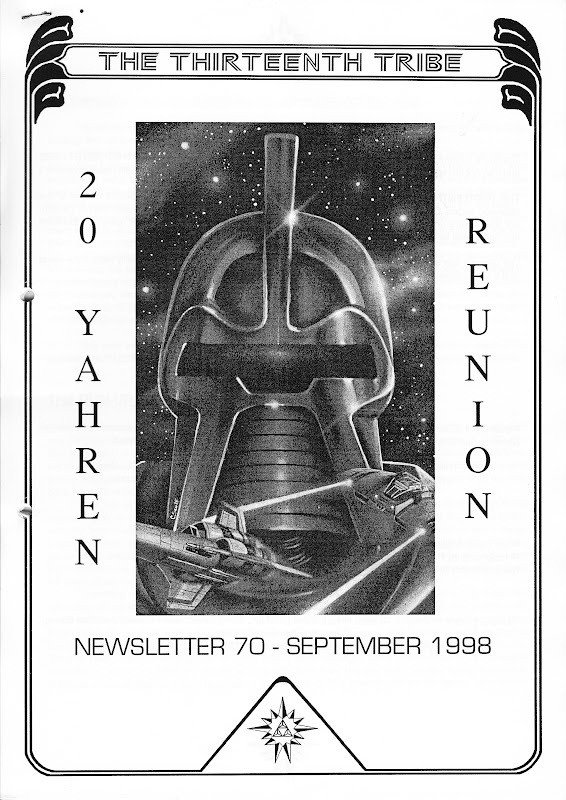 did enjoy a complete re-release. I picked this up second-hand (and rather battered - some of the inside pages have pictures cut out!) for £2 from a central London bookshop a few weeks ago. 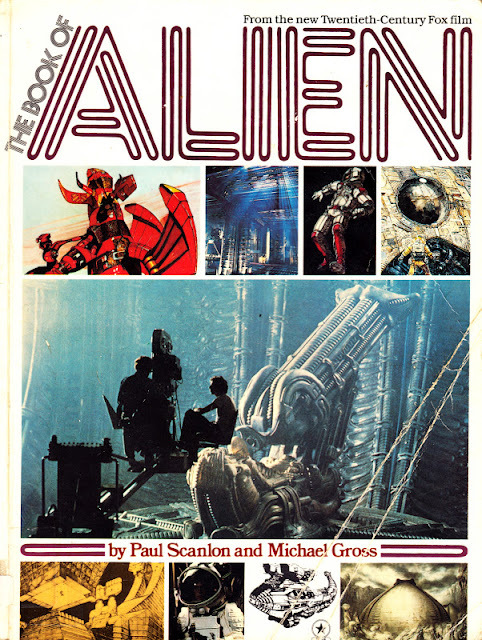 Despite the missing bits, its a beautiful and very detailed account of the making of the film including copious pre-production design work. It's by Paul Scanlon and Michael Gross. Published by Star Books in 1979. 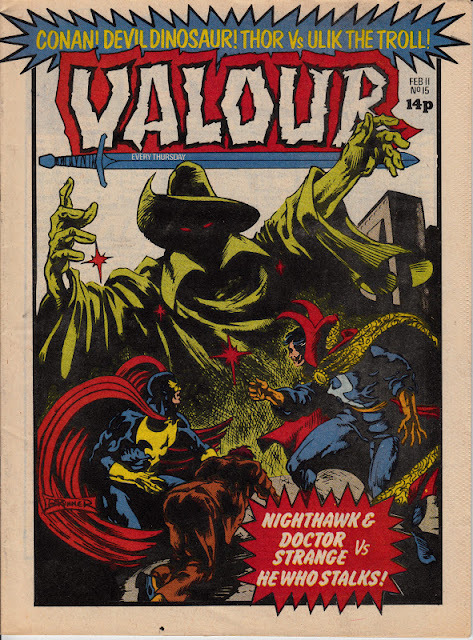 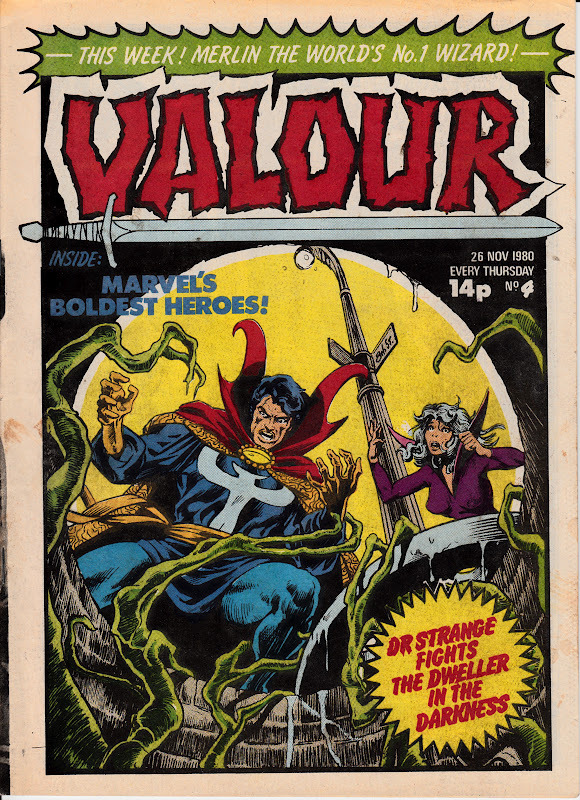 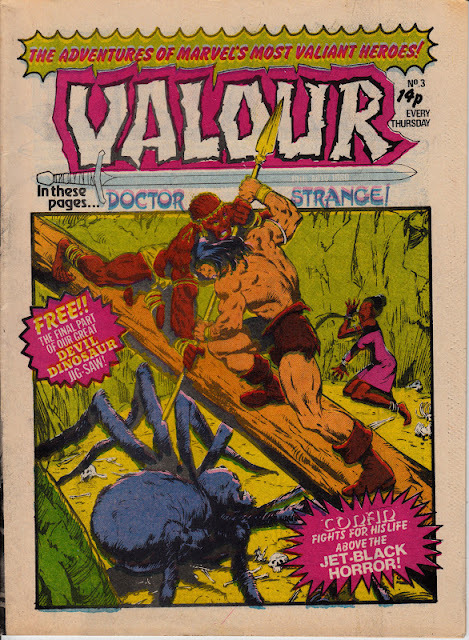 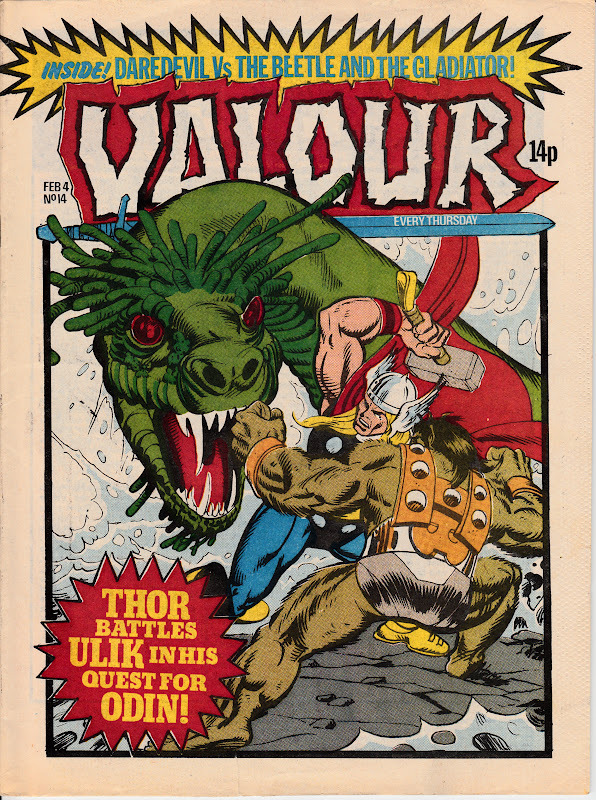 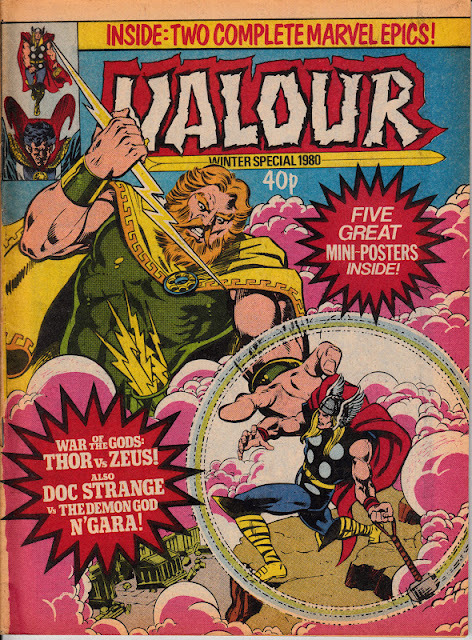 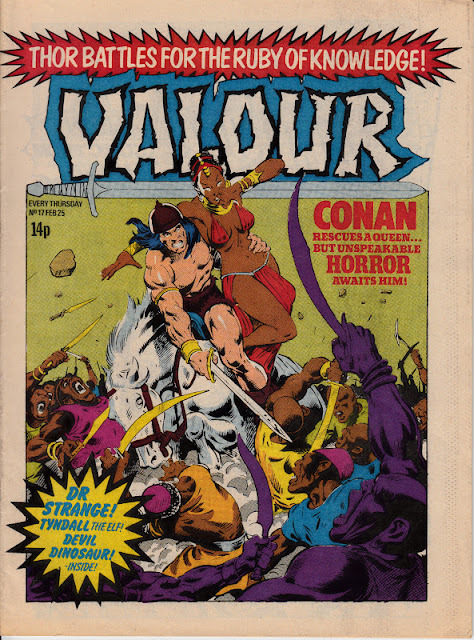 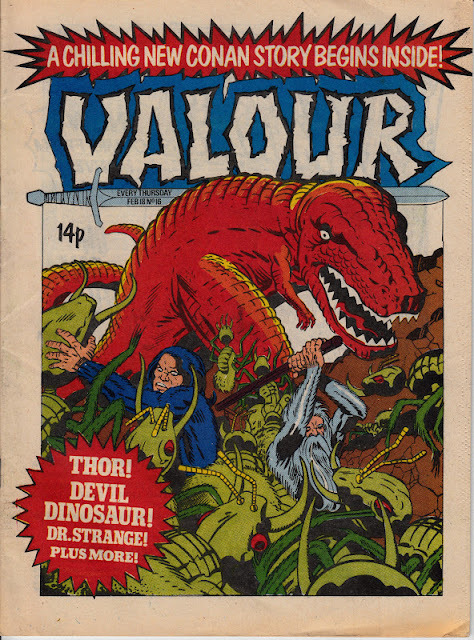 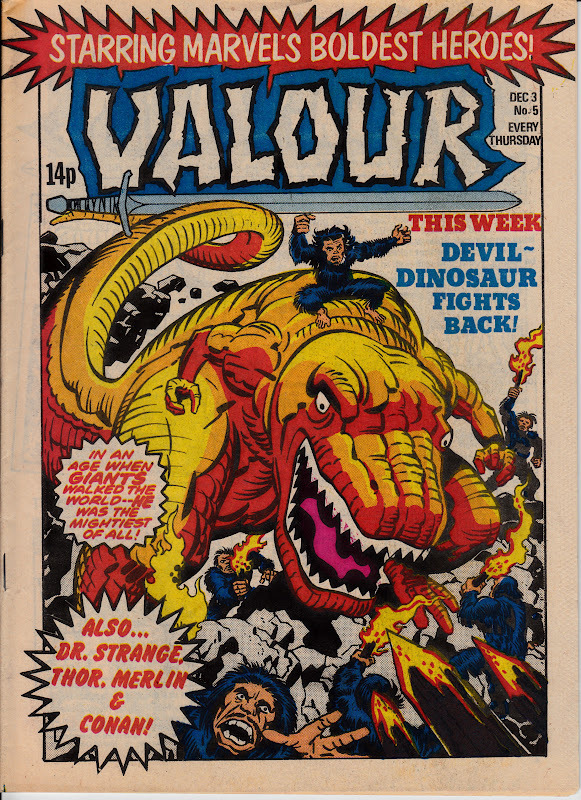 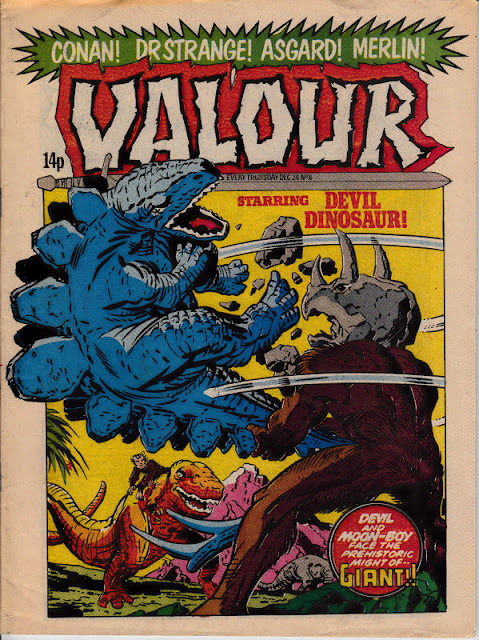 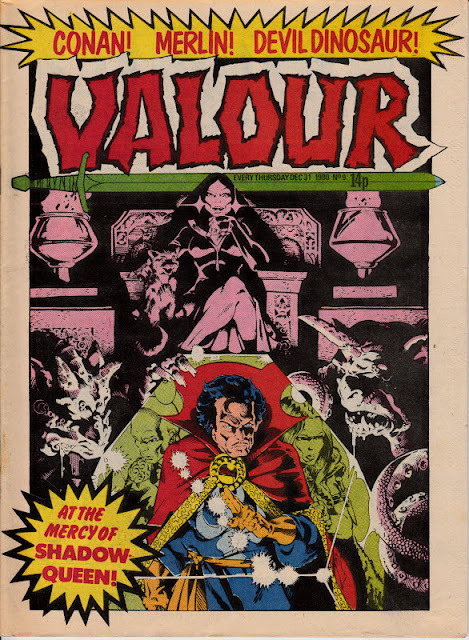 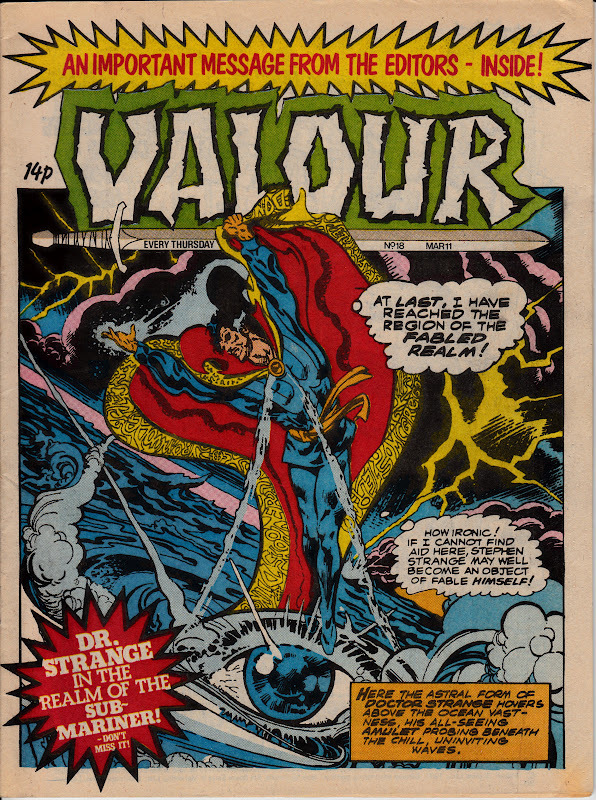 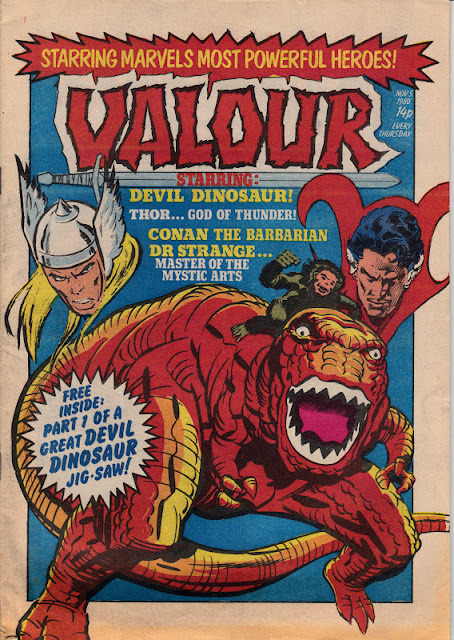 VALOUR was one half of Marvel UK's late-1980 double-act of new weeklies alongside SF-centric FUTURE TENSE. 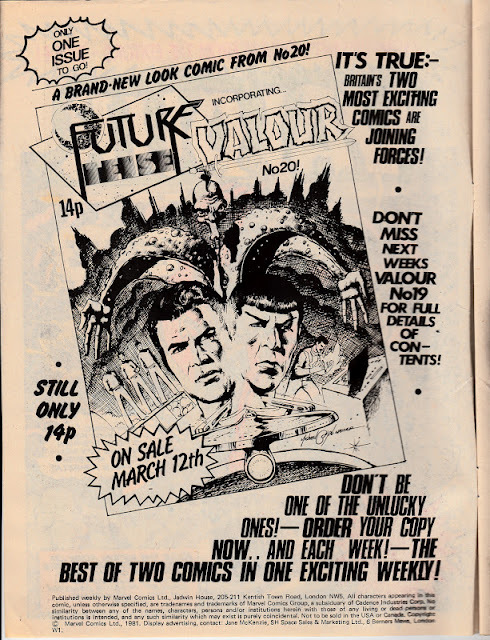 FT had the sic-fi crowd (and presumably the weekly slots recently vacated by stablemates THE EMPIRE STRIKES BACK WEEKLY and DOCTOR WHO WEEKLY) in its sights, leaving VALOUR to cater to fantasy fans. Assuming there were any. The all-reprint line-up consisted of Conan the Barbarian, Thor, Doctor Strange and - errm - Devil Dinosaur. Surely (not) a winning combination. 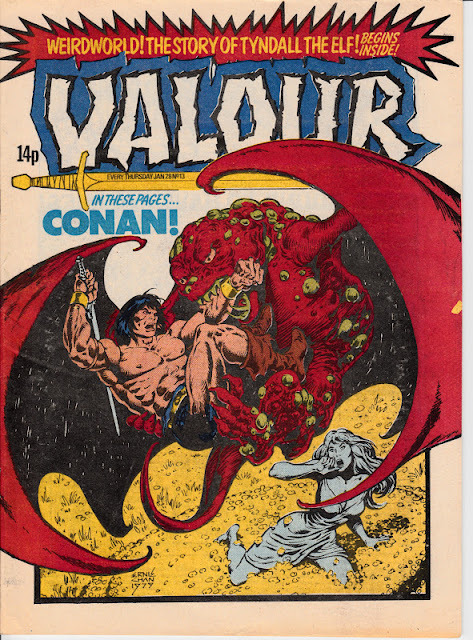 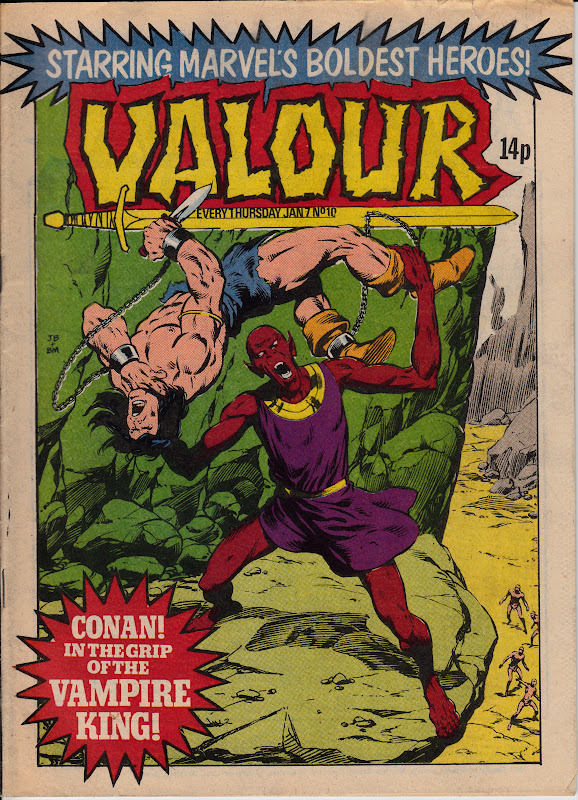 Conan had clearly been fully rehabilitated since the disaster of THE SAVAGE SWORD OF CONAN weekly: not only appearing here but also in the rather more successful monthly incarnation of THE SAVAGE SWORD OF CONAN as well as in the CONAN THE BARBARIAN POCKET BOOK. The conclusion to be drawn is either that M-UK felt the (pre-movie era) was a bankable star OR they were short of suitable reprints. 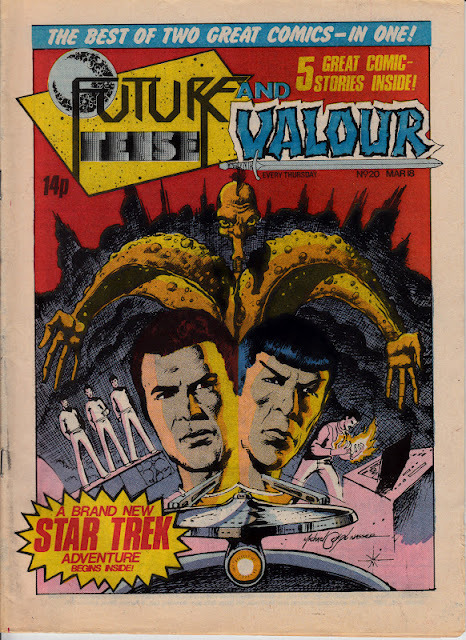 The fantasy line-up clearly wasn't enough to hook the punters (and, besides, FUTURE TENSE had belatedly added William Shatner to its line-up) and, after a couple of weeks of hype and bluster, the two stablemates merged. 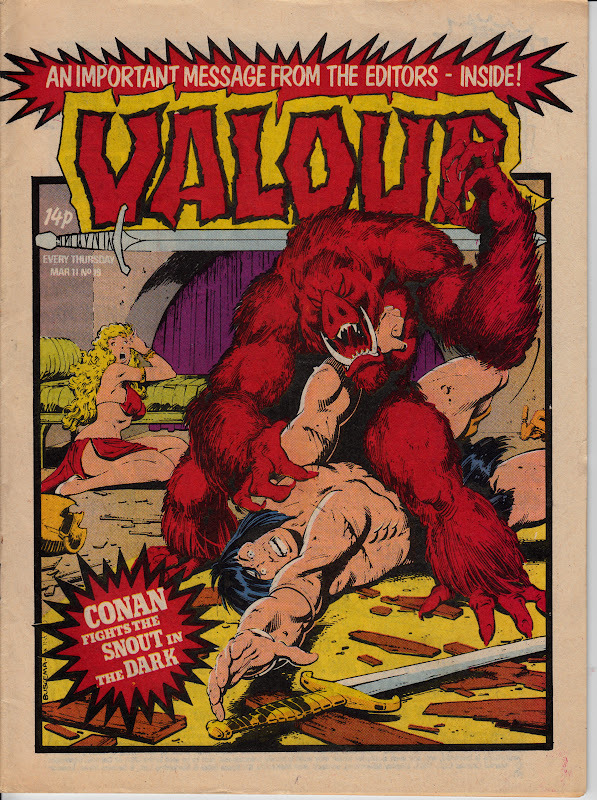 Conan survived the cut. 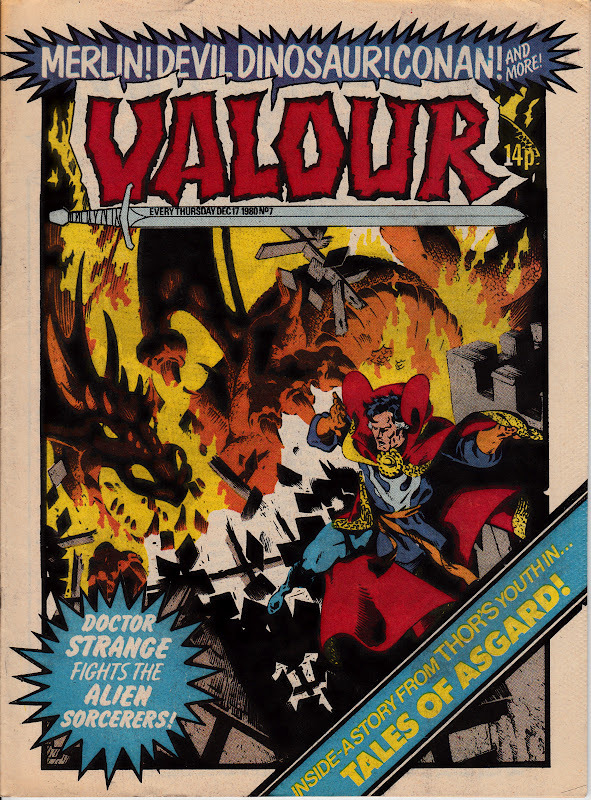 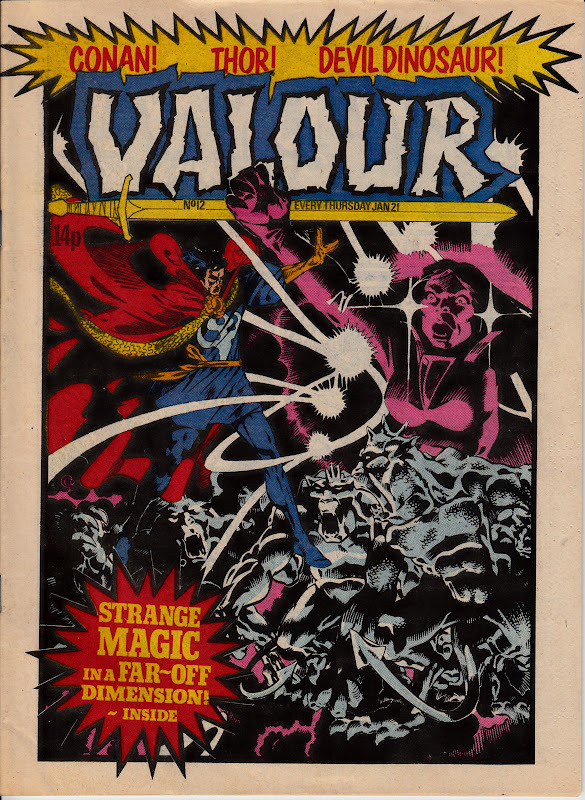 Thor and Doctor Strange resurfaced in the new MARVEL ACTION weekly launched in late March 1981. 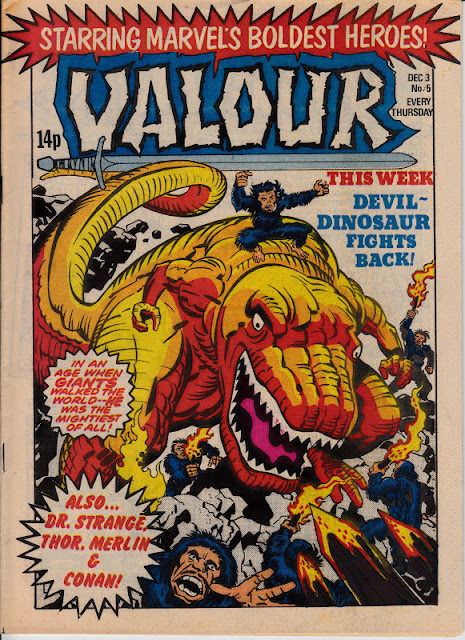 And Jack Kirby's Devil Dinosaur emerged again as back-up strip in THE X-MEN weekly in 1983. Valour also published a contemporary WINTER SPECIAL in 1980 (which, like the weekly, was published on newsprint without a glossy cover) , something FUTURE TENSE never managed. Possibly, early in the life of the two titles, Marvel management considered Conan the safer bet. 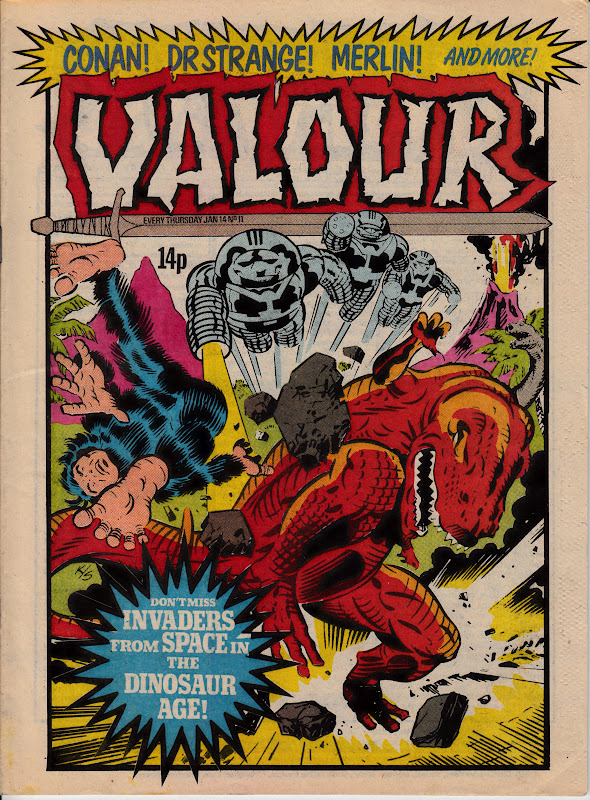 *Date repeated from the previous week, presumably to bring Valour in-line with FUTURE TENSE prior to the merger. 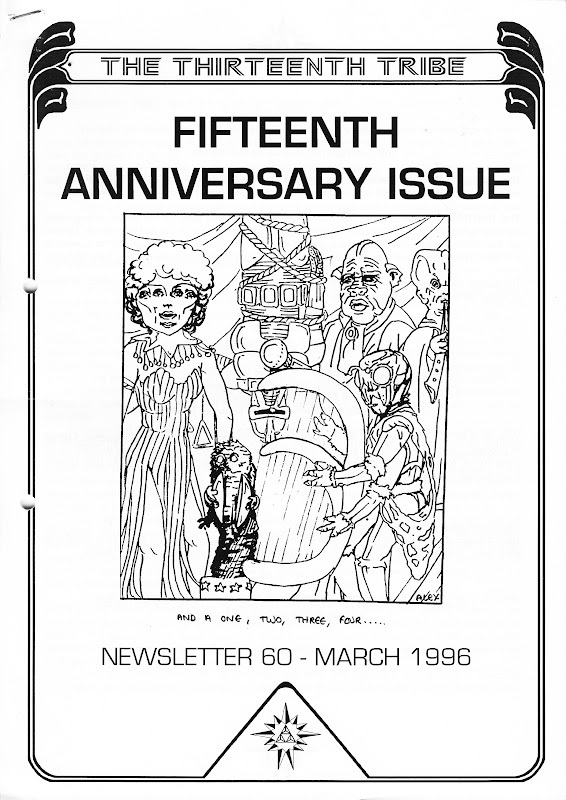 Back to 1983 and Zoltar's fiendish and overly-complicated plans to conquer Earth. 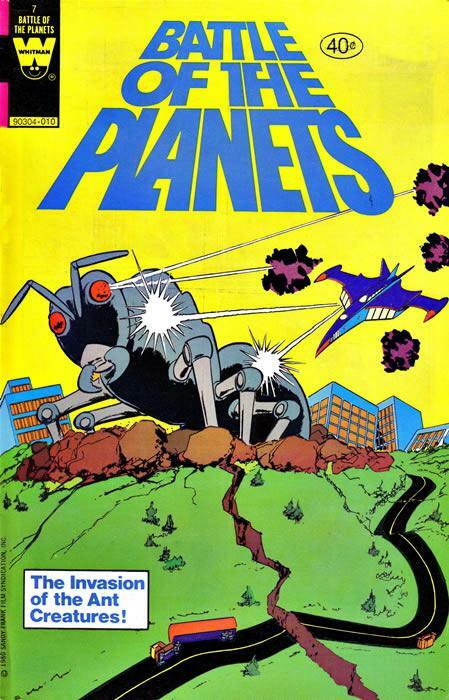 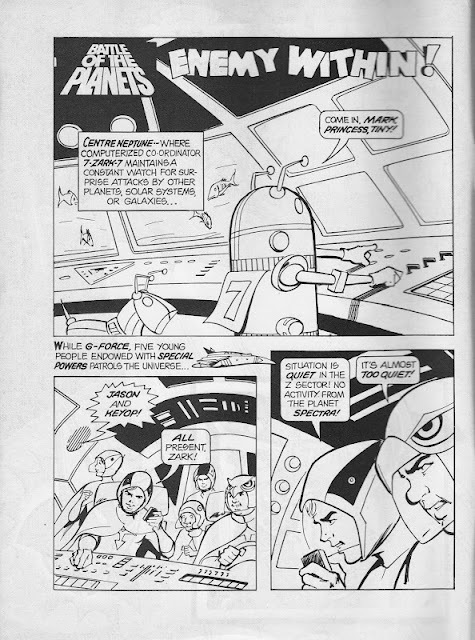 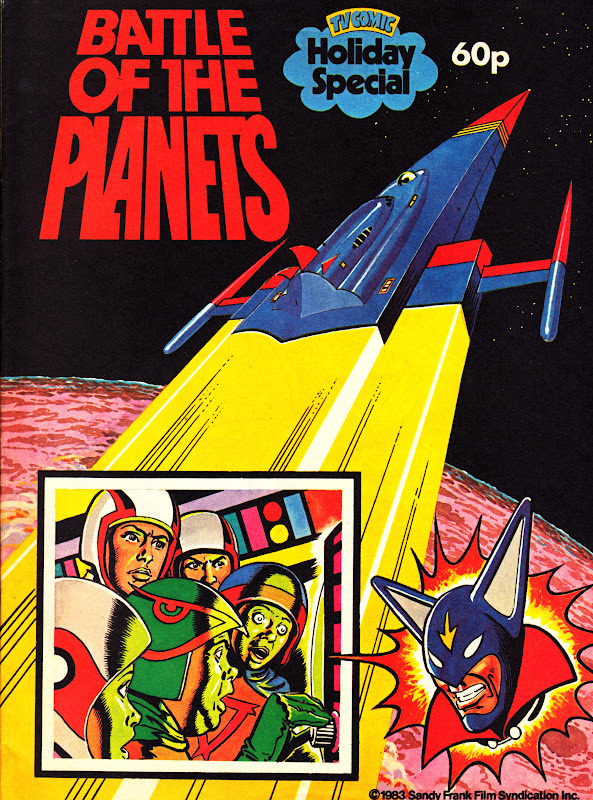 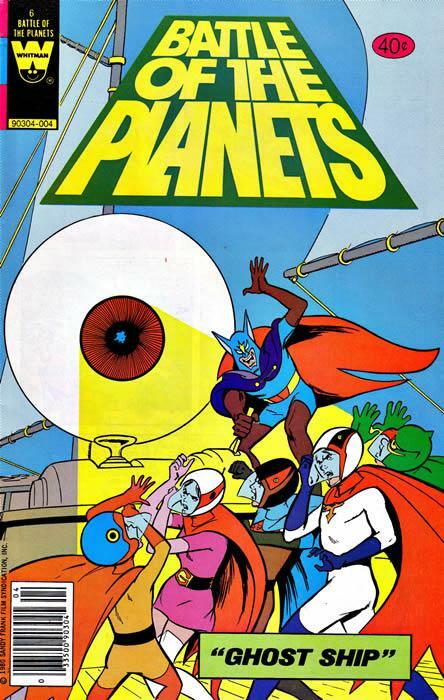 The about-to-expire weekly TV COMIC was running a weekly BATTLE OF THE PLANETS strip and published this one-shot spin-off, using US reprints. BOTP aired on BBC ONE for several years at the turn of the decade. It was, of course, a reworking of Japan's seventies series GATCHAMAN. 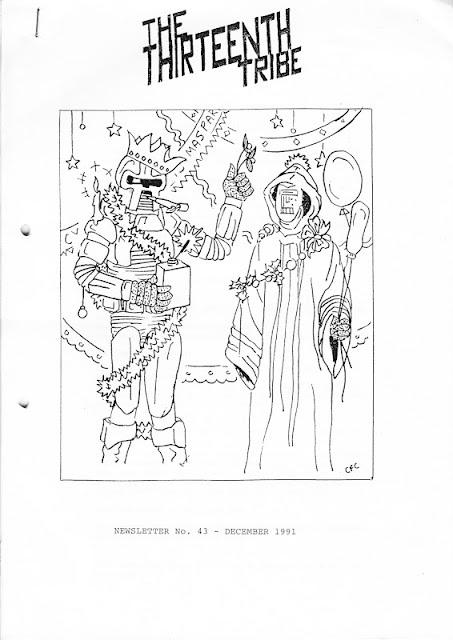 The Holiday Special cover is original, not quite on-model, and uncredited. ENEMY WITHIN originally appeared in Whitman's US BATTLE OF THE PLANETS 7. 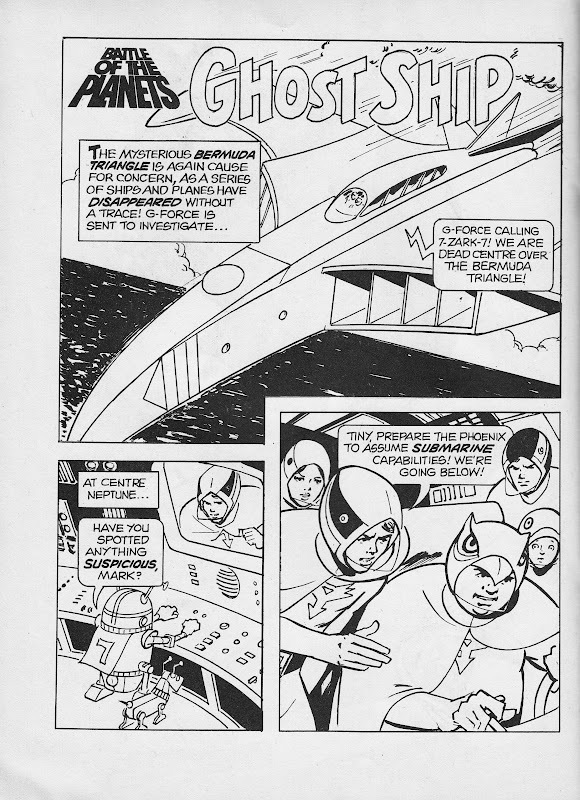 GHOST SHIP originally appeared in Whitman's US BATTLE OF THE PLANETS 6. 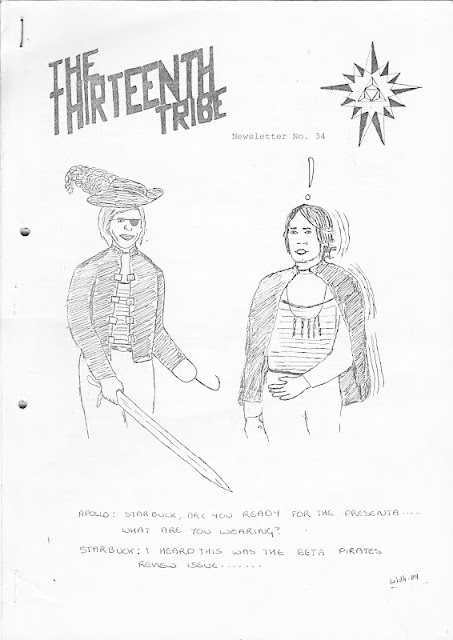 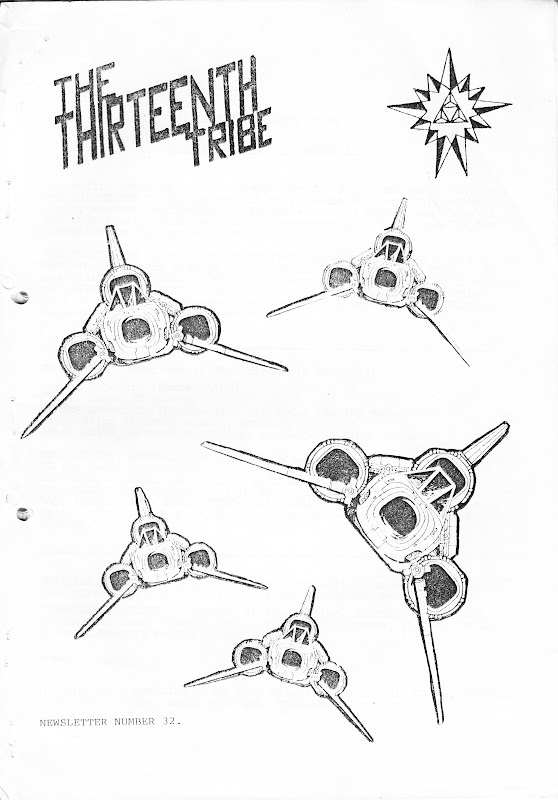 THE THIRTEENTH TRIBE was Britain's premiere BATTLESTAR GALACTICA fan club, flying the Colonial flag for some two decades. No mean feat for a TV show that only lasted a single season (1978-79). I don't know the origins of the club but, I assume, it was established sometime in the early 1980s, sometime around the UK premiere of the TV show. It might have been earlier than that, coinciding with the late-seventies faux feature film release. Its testament to the show's ability to build and retain a fan following despite (or perhaps because of) ITV's erratic regional screenings of the show. 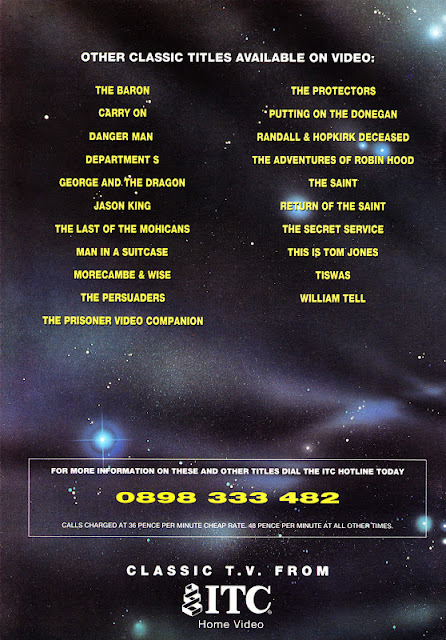 The club would have, I'm sure, received a boost after BBC TWO gave the series its first networked airing in the late eighties. 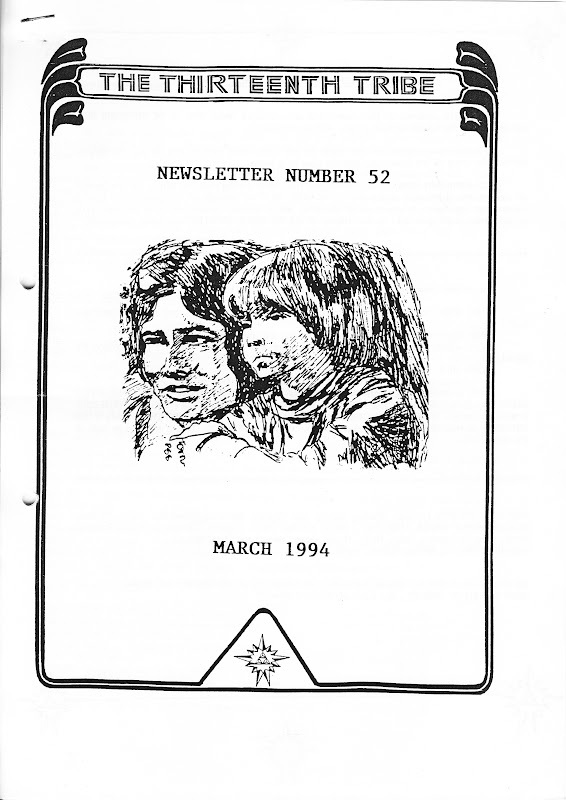 That's when I joined, my first membership year covering newsletters 32-35. 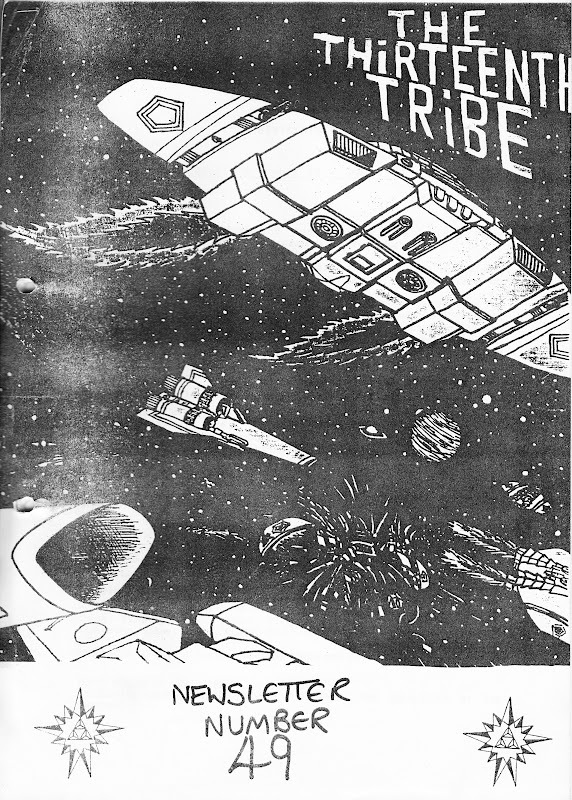 I think I found the club thanks to a classified advert in STARBURST magazine. 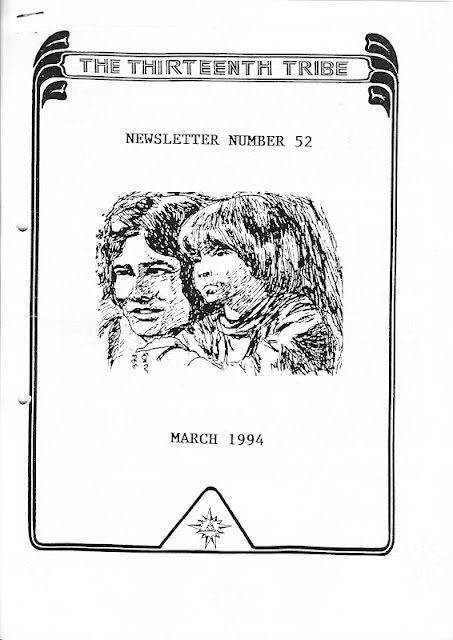 The newsletters were A4 photocopied affairs, initially typeset with a typewriter before the ubiquitous word processor must have made life much easier for the editors. 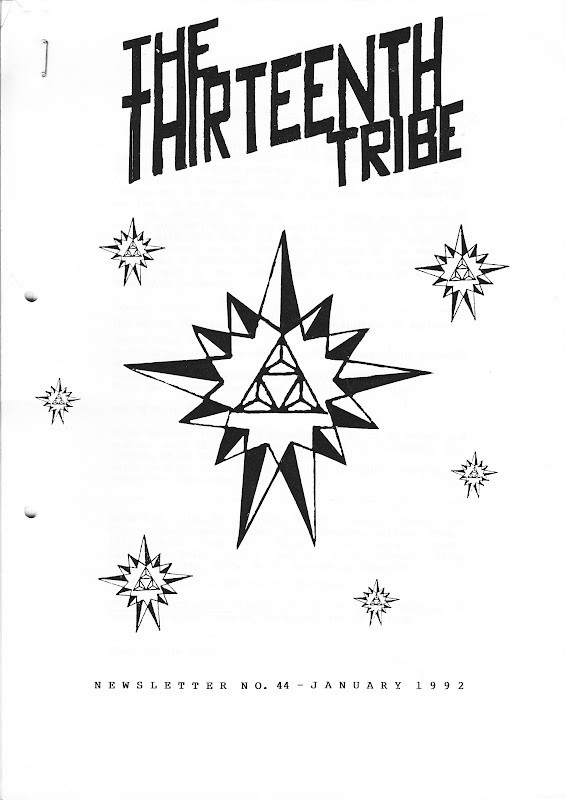 Each issue (page count was dictated by the level of contributions) and stapled by a single staple top-right. I added extra staples to the issues below to ensure the pages remained secure and, eventually, filed them away in a lever arch folder. Hence the hole punch holes. 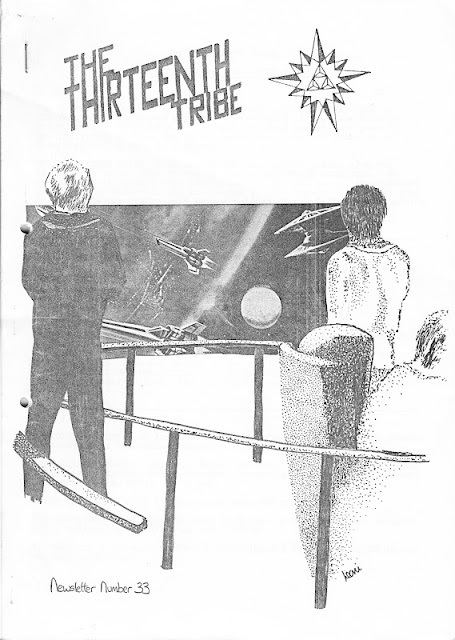 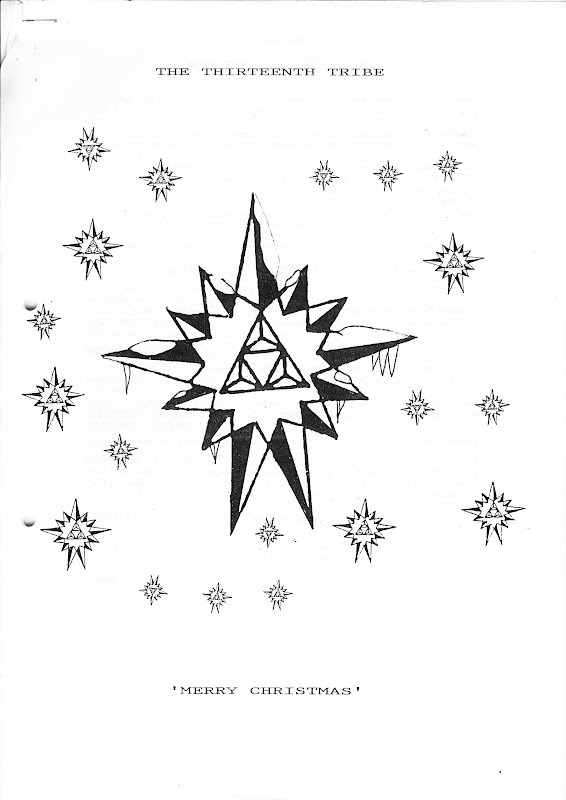 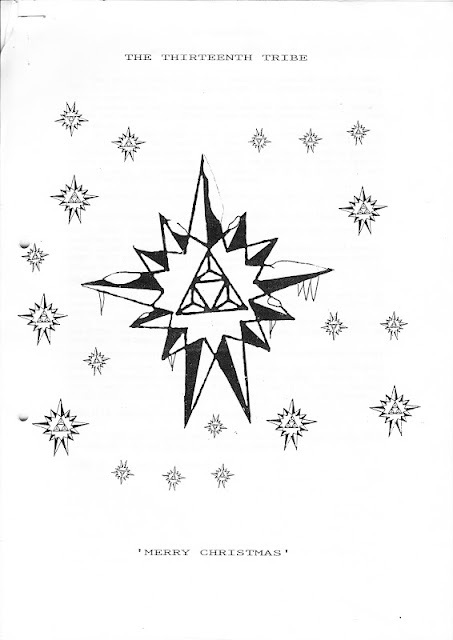 The cover artwork on each issue was supplied by members. 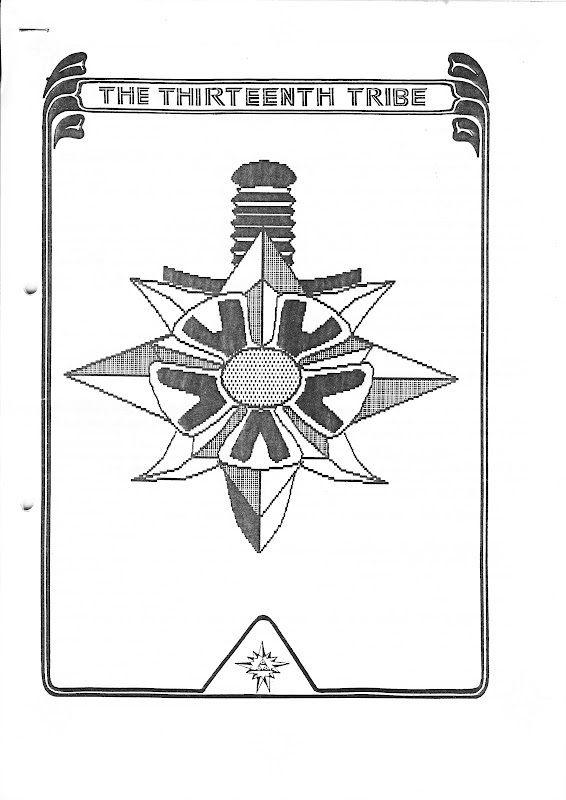 The range of ability speaks for itself. One thing that was immediately obvious in most issues of the newsletter: there wasn't much actual news. 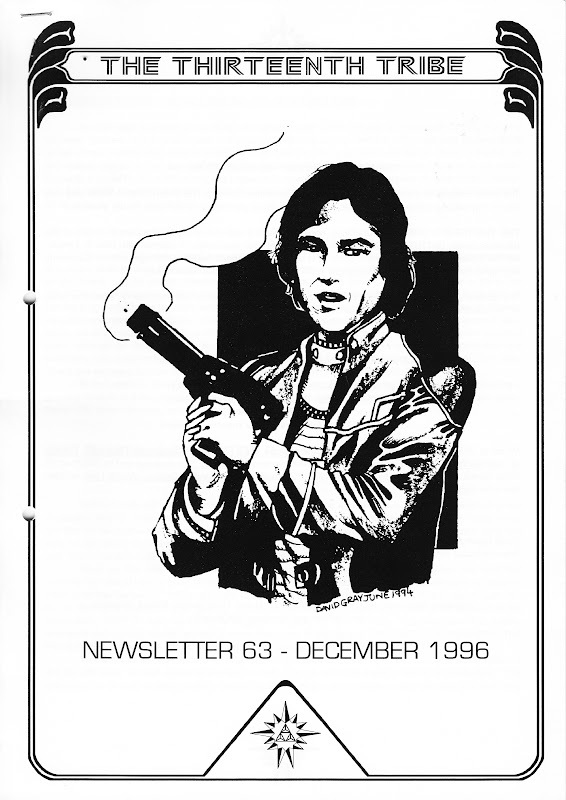 BG was dead and the occasional rumours of a revival always amounted to nothing. 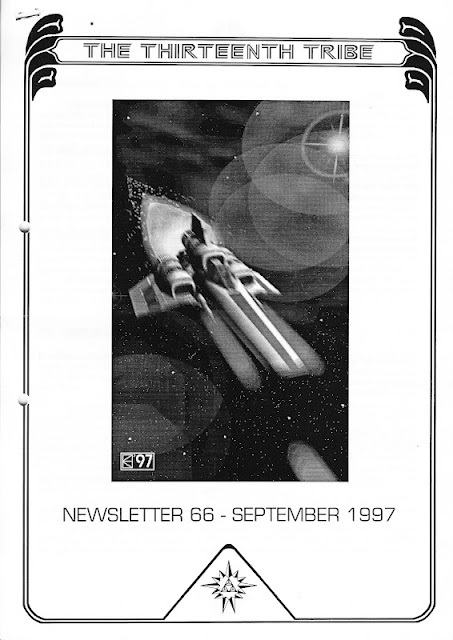 News amounted to the occasional convention report, review or article, all submitted by the readership. 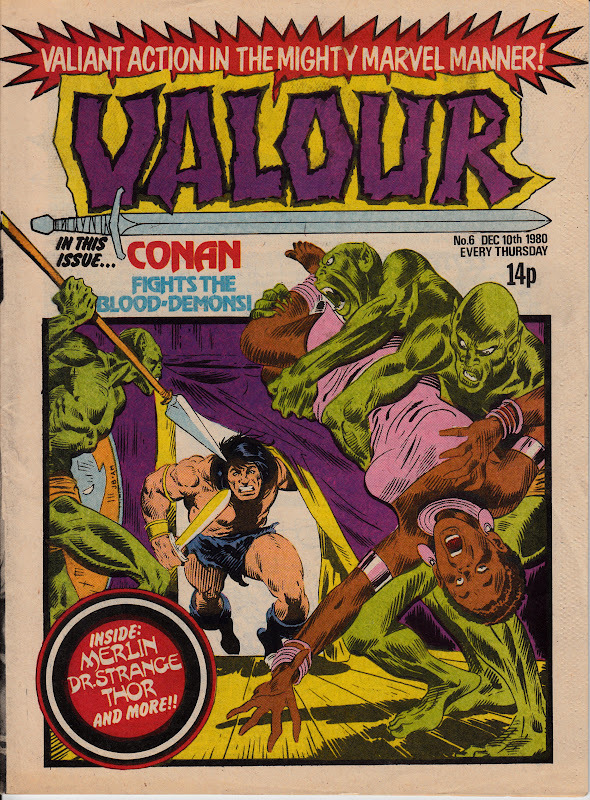 Each issue also included fiction (the club also published separate fiction fanzines) but this was always something of an acquired taste. Each issue also featured details of former BG cast members sighted in various other films and TV shows doing the rounds of British TV, actually quite useful in the pre-IMDB era and also a fascinating insight into how much schedules changed from region-to-region across the ITV system. 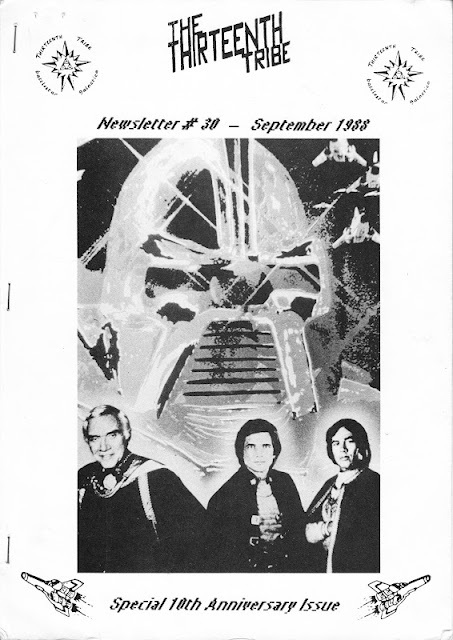 The club's golden rule was that deservedly unloved sequel GALACTICA 1980 was most definitely NOT part of Battlestar lore. Dirk Benedict's reprise of Starbuck in the final episode was considered a separate appearance by the actor! 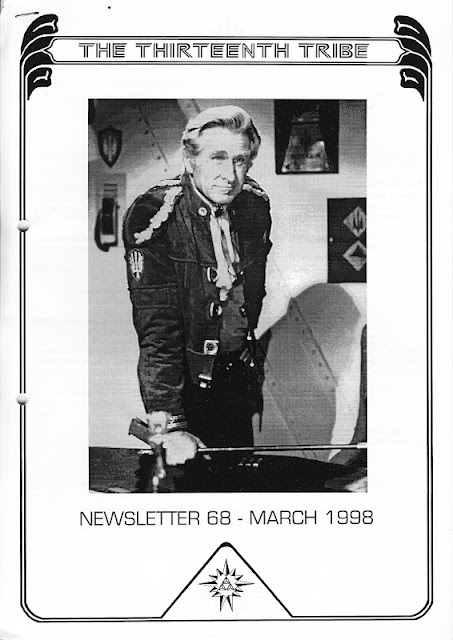 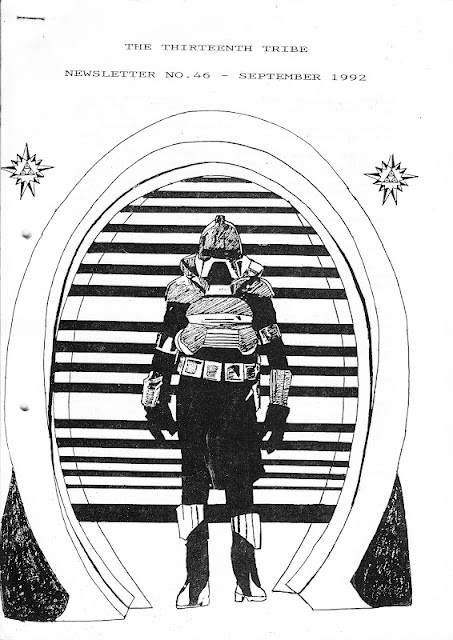 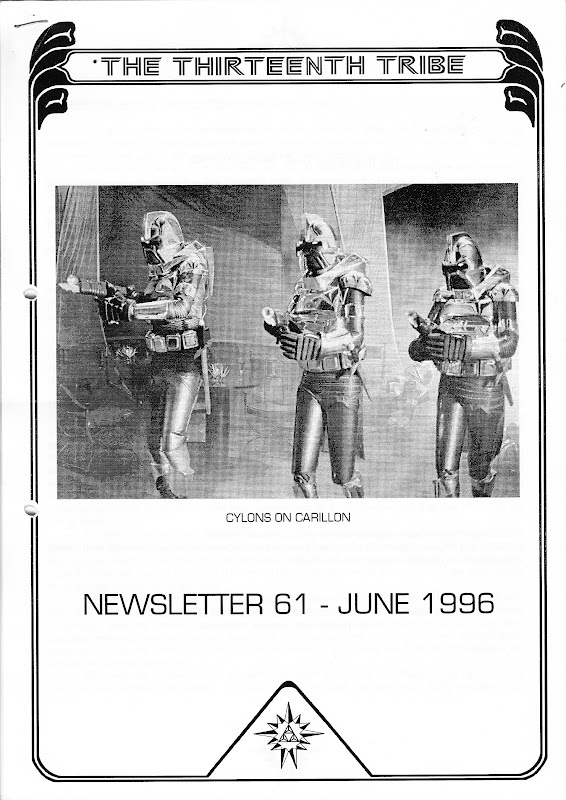 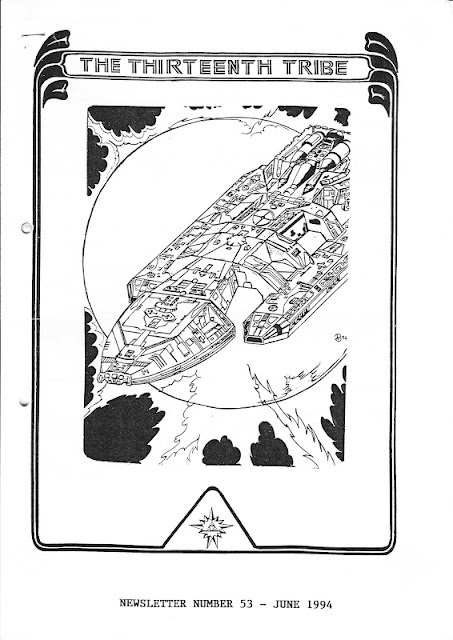 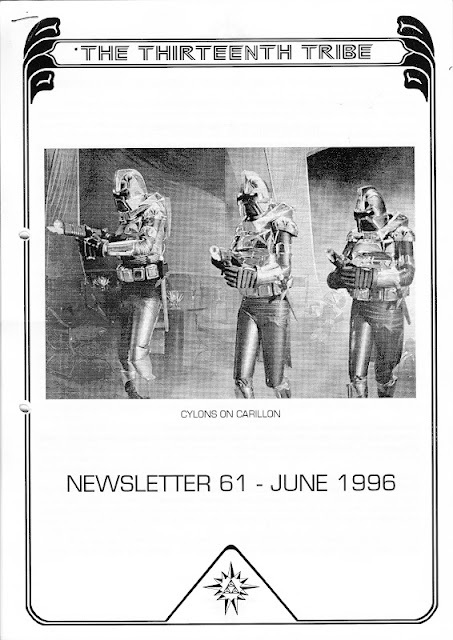 Membership of the club ensured four issues of the newsletter (issued, roughly, on a quarterly basis) as well as a membership pack which, if memory served, consisted of a membership card, keyring with club logo and a photo (mine was Apollo, Starbuck and Sheba on the surface of the unnamed planet in War of the Gods). 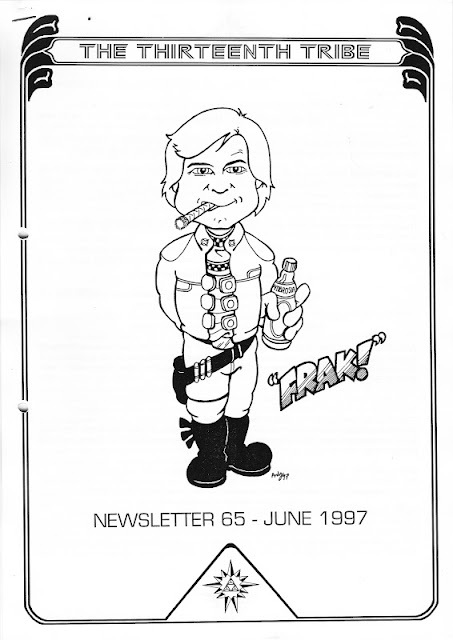 The club also produced a range of merchandise. 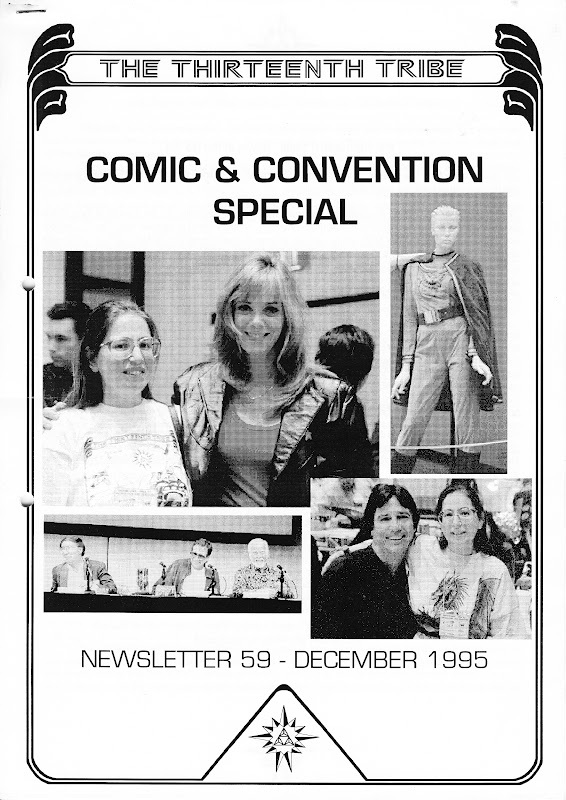 Items included more photos and a range of t-shirts (artwork printed on, frankly, not very high-quality t-shirts). 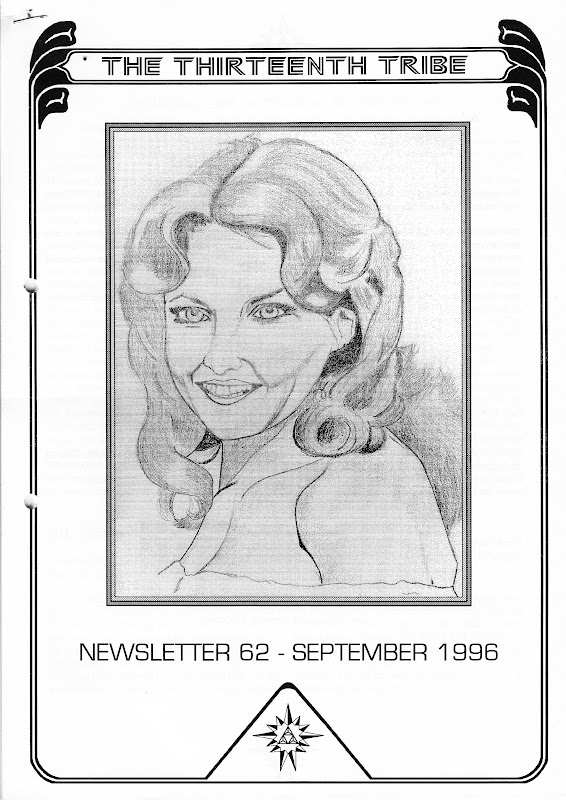 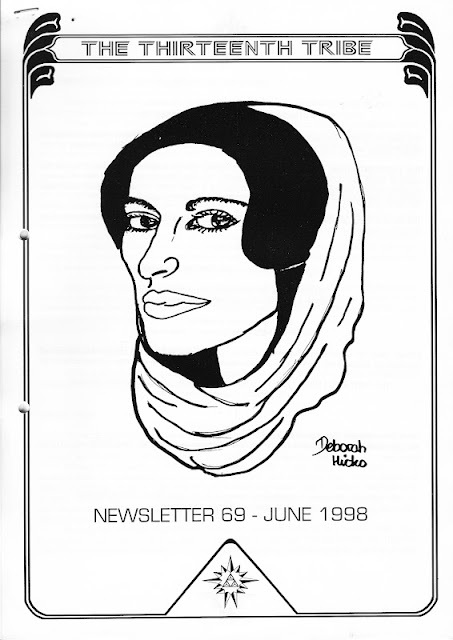 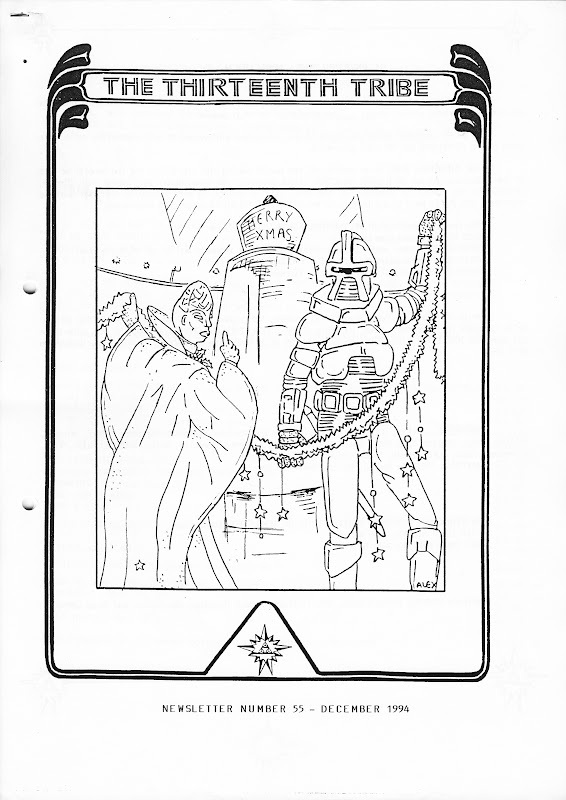 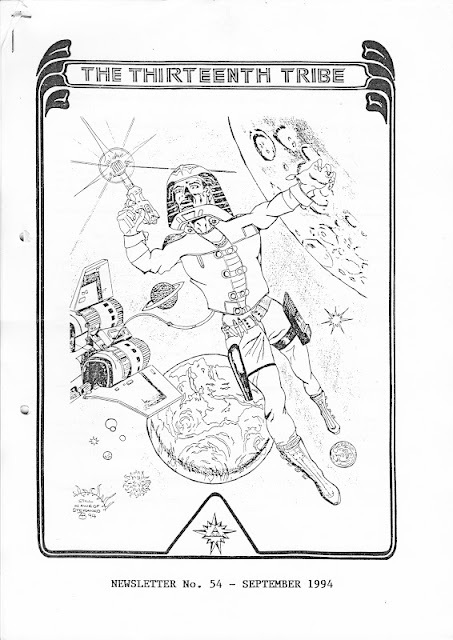 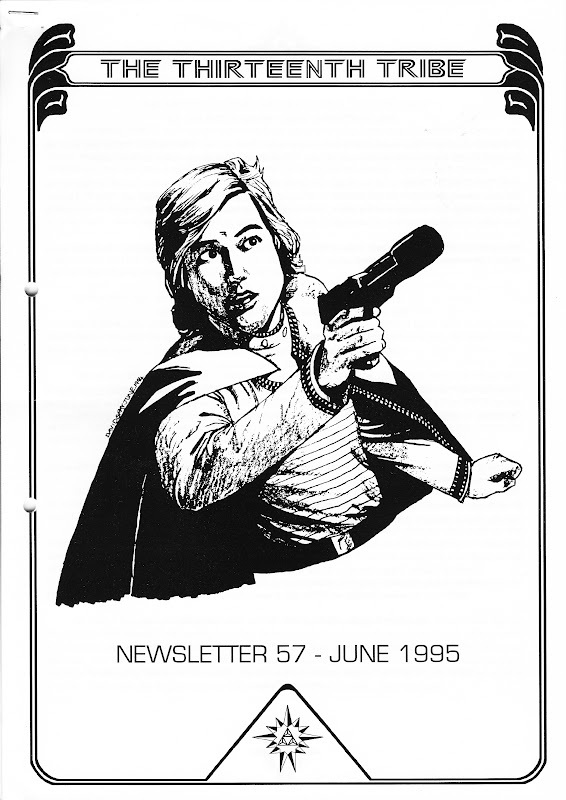 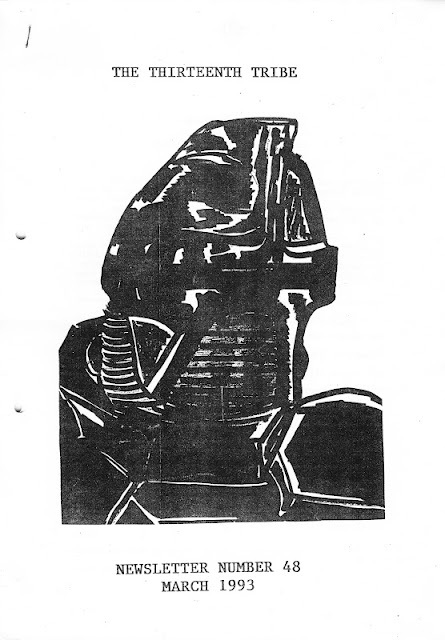 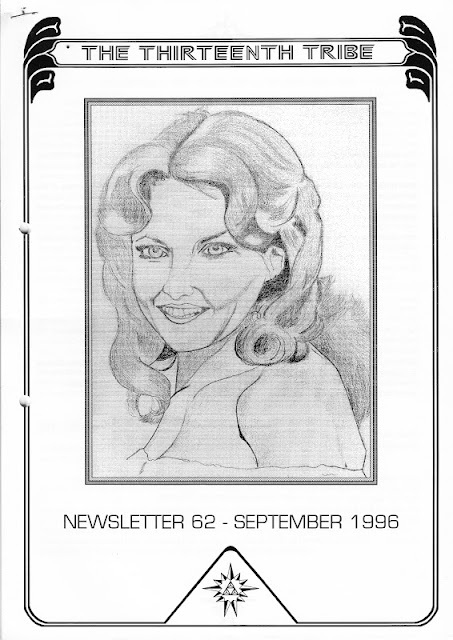 As already mentioned, the club also produced fiction fanzines as well as acting as agents for other publishers and running classified adverts in each newsletter for other fanzines and fan clubs. Latterly, the club found itself in competition with the new-fangled internet. 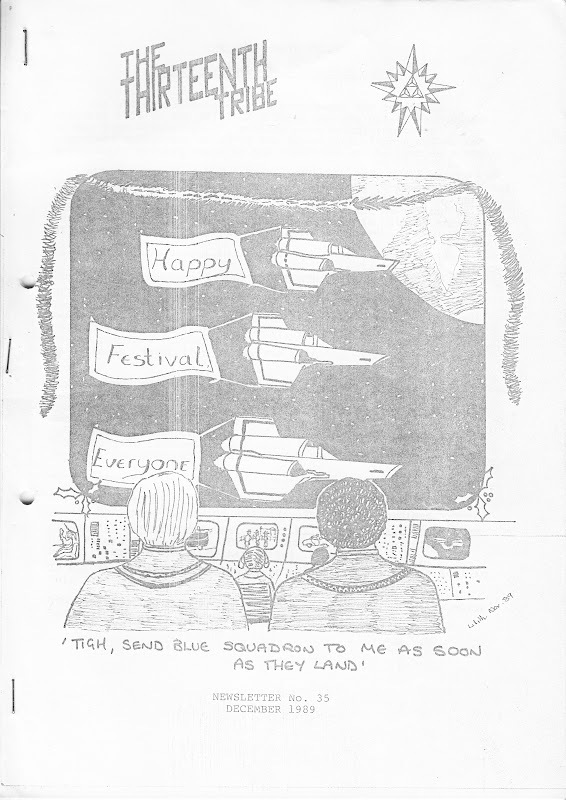 But, ironically, this period also generated the most 'news' in many years. 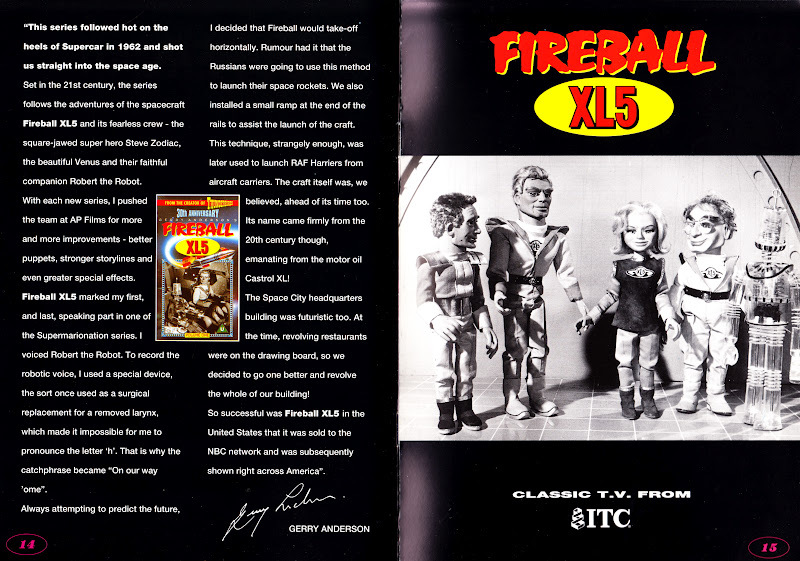 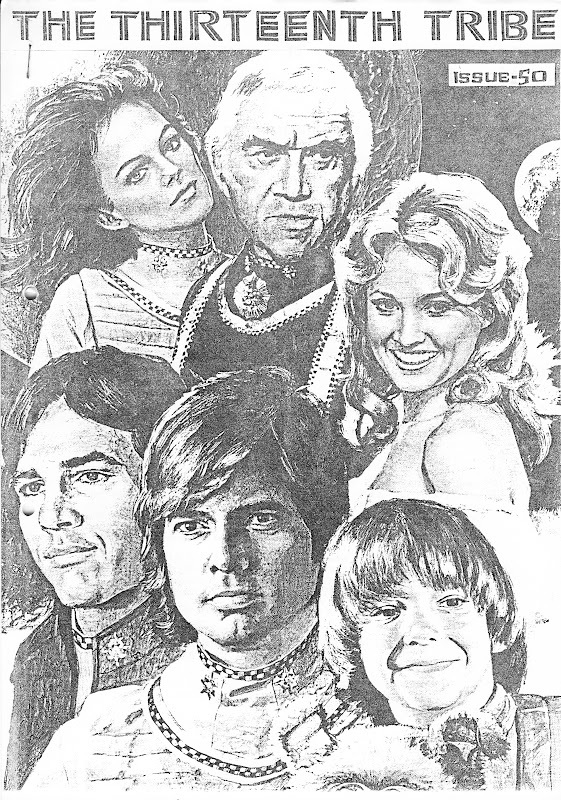 Resurgent interest in the TV show led to a new wave of merchandising for the club to review and report: toys from Trendmaster, trading cards, the controversial Maximum Press comic books and actor Richard Hatch's new novels. 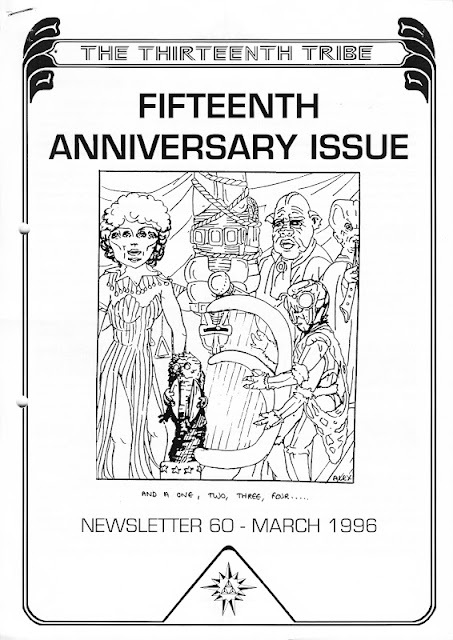 Special 10th anniversary of the TV series issue. Although thin on behind-the-scenes information, this remains the most comprehensive guide to the Battlestar Galactica universe. 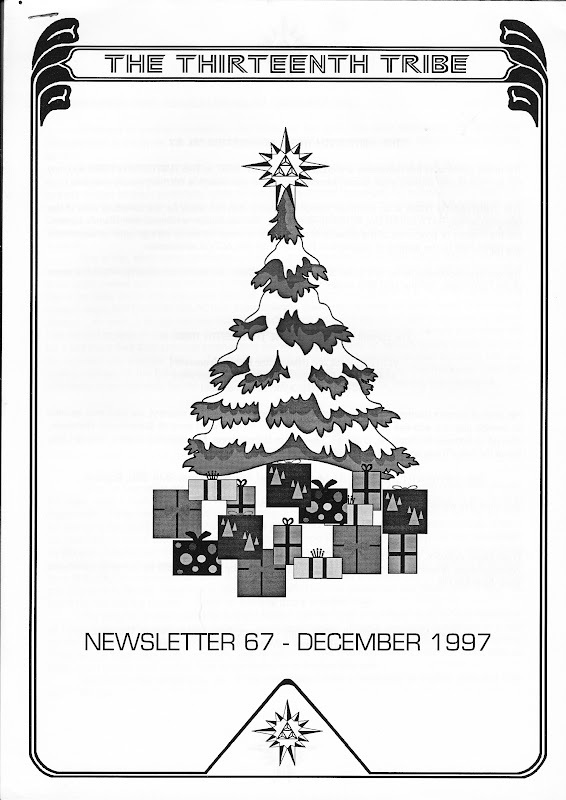 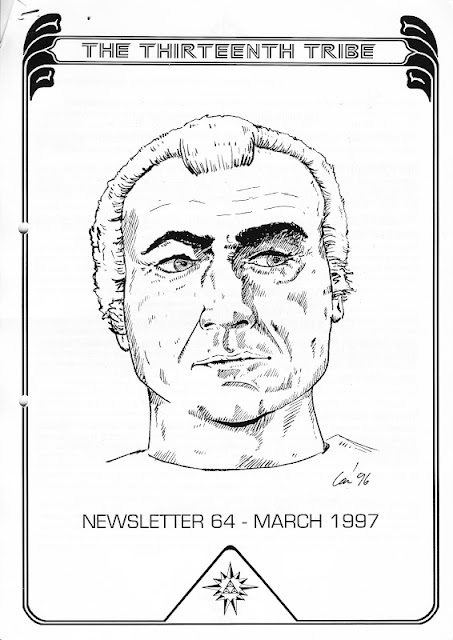 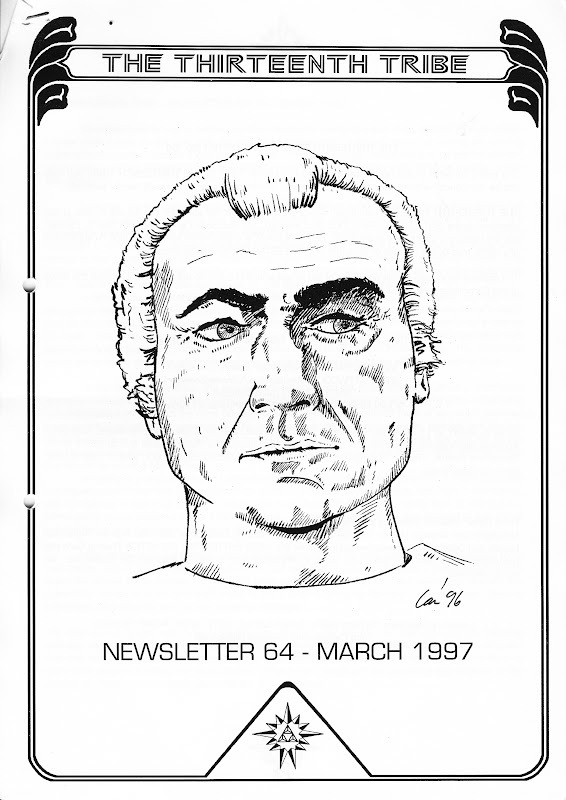 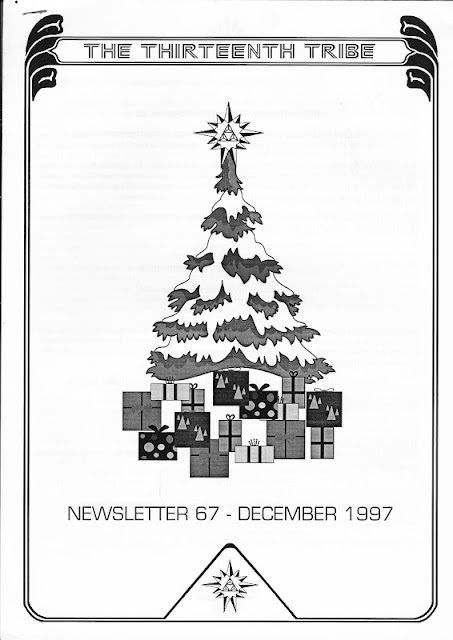 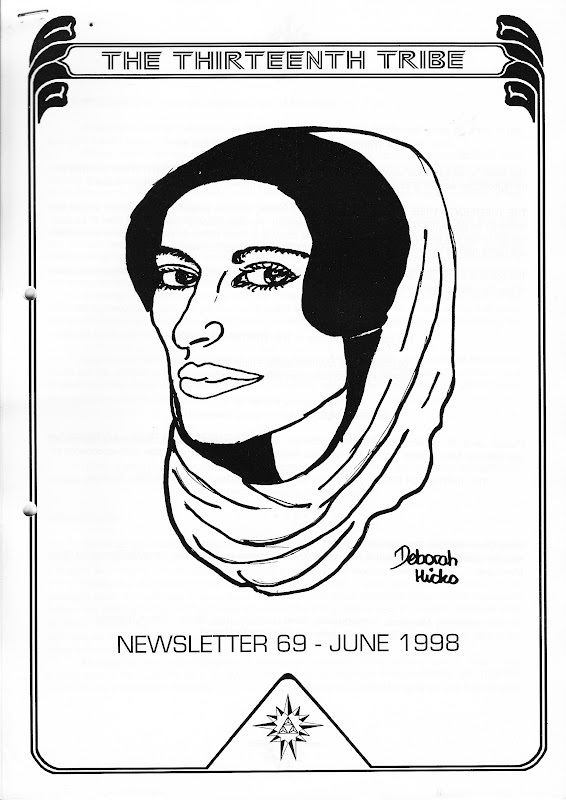 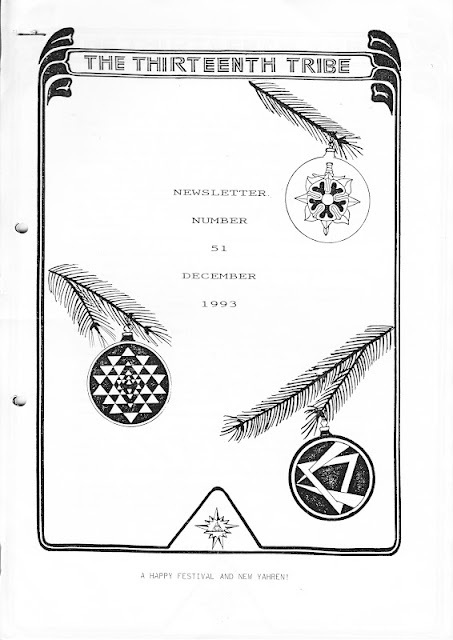 I then allowed my membership to lapse until 1991, returning to the fold with newsletter 43 (December 1991). That time I was more faithful, sticking around until December 1998. 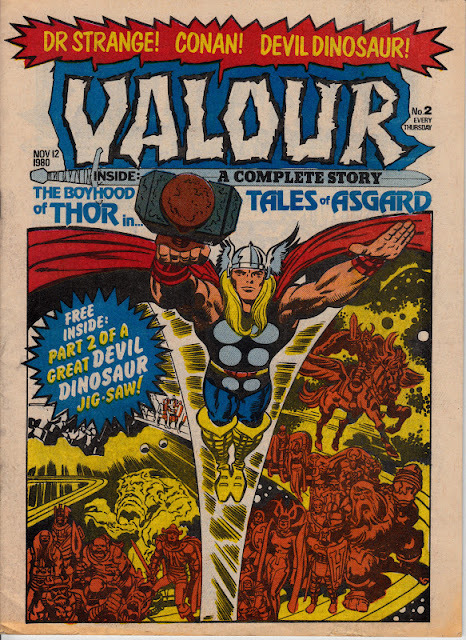 At which point my membership lapsed again and, for whatever reason (money probably) I didn't renew. What happened to the Tribe after that is unknown, presumably the onset of new technology finally killed the allure of a quarterly photocopied newsletter. Or maybe too many people, like me, drifted away.